ANI upgrades its LiveU fleet for live newsgathering. Hackensack, NJ, May 2018: Asia’s premier news agency Asian News International (ANI) is upgrading its entire LiveU fleet with LiveU’s flagship LU600 HEVC units for global newsgathering and live sports coverage. ANI’s newsgathering fleet, which is spread all over India, heavily relies on LiveU technology. The project has been overseen by LiveU’s partner in India, Lamhas Satellite Services, which provides onsite service and support nationwide. ANI first started using LiveU in 2011 and was a pioneer in moving its newsgathering to cellular bonding technology. The leading news agency uses LiveU for breaking and developing news, around the country and abroad. In 2014, LiveU was used widely for ANI’s Indian general election coverage, covering the campaign and Election Day itself. 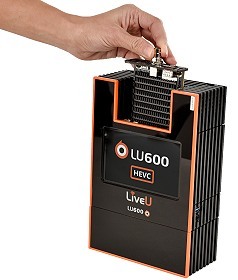 “We are happy that once again ANI has placed their trust with LiveU and Lamhas by selecting the LU600 HEVC. ANI is highly respected in the local and international broadcast market and their selection of LiveU is a vote of confidence in our technology and service. We’re seeing growing demand for the LU600 HEVC from our customers nationwide” said Ajay Jain, CEO at Lamhas. LiveU is presenting its enhanced range of live IP video uplink services and streaming solutions at Broadcast Asia in Singapore, June 26-28 2018, Stand 6J4-01.